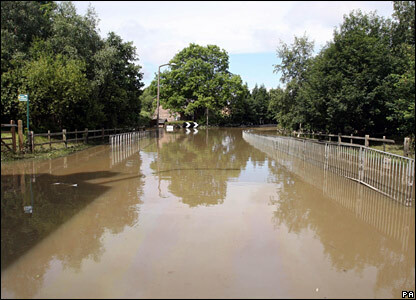 Although waters are receding in Treeton, South Yorkshire, villagers have still not been able to return as it lies in the shadow of the Ulley Dam, which still poses a risk. 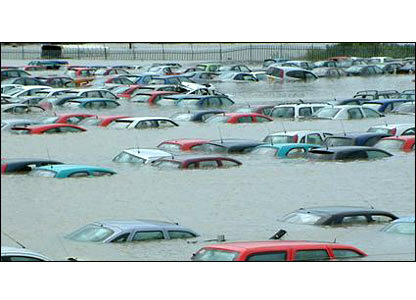 Paul Thresh sent in this picture of a salvage yard in Adwick-le-Street, Doncaster. 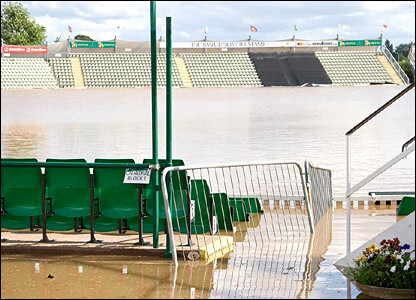 Play was definitely stopped at Worcestershire County Cricket Club. 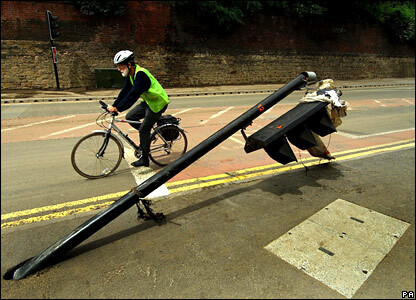 A flood-damaged traffic light in Brightside Lane, Sheffield, South Yorkshire. 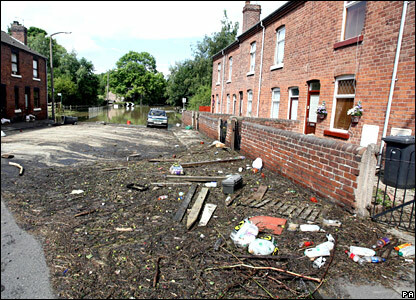 The clear-up has yet to start in deserted Treeton. Staff begin the clean-up operation at the Meadowhall shopping centre in Sheffield. 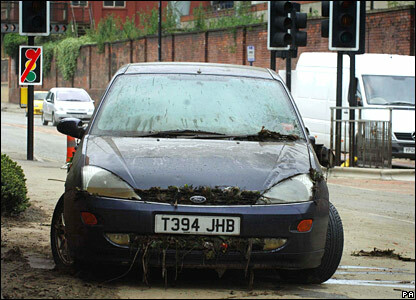 A flood-damaged car in Brightside Lane, Sheffield.